What’s driving global smart grid initiatives? But what does Smart Grid really mean? The traditional electrical grid is a ‘one way’ system with power going from the grid operator (Utility) to the customer with no feedback loop. The term ‘Smart Grid’ describes a power grid that’s integrated with a computerized, two-way communication network. Power is provided to the customer and feedback is provided on system operation, outages, and electrical use (among many possible parameters) to the Utility and power suppliers. 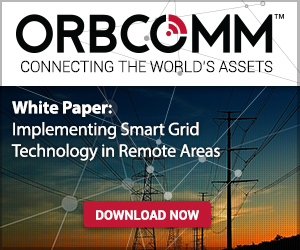 Using this information, operators and suppliers can optimize the performance of the power grid to accommodate peak loads and anticipate problems and service disturbances. In addition, by being aware of how the grid is performing, operators can ensure that small local problems do not become large regional outages. The power grid is a fundamental infrastructure in modern society and the Smart Grid is a work in progress that takes it to the next level. In fact, there will be several stages in evolving from the traditional ‘dumb’ grid to a mature Smart Grid. The first stage is focused on traditional ideas like adding more wire, installing better grid protection, and improving reliability. The next stages involve integrating information technology and creating the ability to add capacity from non-traditional sources like wind and solar power to accommodate fluctuations in power demand and ensure increasingly reliable and cost-effective service to create a true Smart Grid. Today, many electrical utilities have implemented equipment to do just that. For example, reclosers1 have been implemented in electrical distribution systems to keep segments of the grid active even after temporary short circuits like when a small tree branch temporarily leans against a power wire in a wind storm. Without reclosers, grid protective equipment would take that segment of the grid offline causing a power failure that would require a crew to come out to reactivate adding to the operational cost of managing the grid. There are many other examples of intelligent electronic devices (IEDs) that are installed on the grid that make it more reliable and robust. These devices can send information like voltage, power factor, current, and more back to a centralized operations center which is vital to improving the integrity and reliability of the grid. The key is to reliably communicate this information to the operations center. Unfortunately, there are some serious challenges to reliably getting this information from the source (reclosers and IEDs) to the operations center. Cellular communication is one solution but suffers from two key issues. Coverage is spotty or non-existent in remote areas and service can be interrupted due to overcapacity in cases of emergency or bad weather – exactly when it is most important to communicate with the electrical grid. Other technologies like dedicated radio or fiber optic communications can work but are examples of dedicated infrastructure that are very expensive and time consuming to implement. Increasingly, utilities are turning to satellite-based (M2M and IoT) technology to gain full visibility of Smart Grid infrastructure. 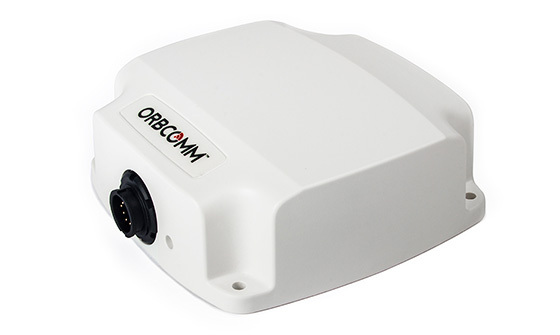 For example, ORBCOMM’s ST 6100 satellite terminal can be customized to control the information exchange between the operations centers and the grid protection equipment. The ST 6100 can be programmed to support DNP 3.0 (a set of communication protocols used between components in a process automation system most often used in electric utilities) which is supported by grid protection devices like reclosers, IEDs, and smart meters allowing the reliable exchange of field information in near real time. In addition, the ST 6100 can be programmed to make smart decisions on what data to transmit to the operations center, in turn minimizing data transmission and operating costs. 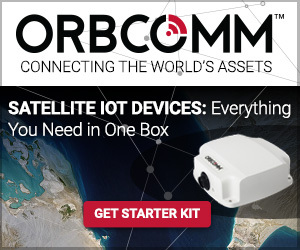 ORBCOMM’s ST 6100 satellite terminal can be customized to control the information exchange between the operations centers and the grid protection equipment. Here, a satellite terminal is integrated with the utility equipment to control the information exchange and reporting process between the utility companies’ SCADA system and the equipment site for better smart grid management. 1 Recloser – a circuit breaker equipped with an automatic mechanism that can automatically close the breaker after it has been opened due to a fault. Reclosers are used in distribution systems to detect and interrupt momentary faults. Reclosers can be installed on utility poles or in sub-stations. 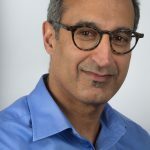 Asif Rehman is a Product Marketing Manager at ORBCOMM responsible for driving marketing initiatives for the transportation, heavy equipment, and maritime markets. He is a passionate B2B product marketer and his experience stretches from large multi-nationals to start-ups to mid-sized businesses and across technology sectors.